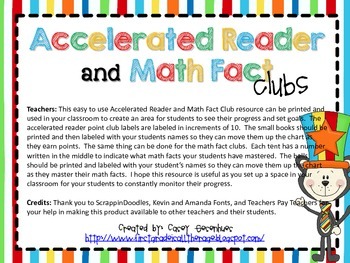 This easy to use Accelerated Reader and Math Fact Club resource can be printed and used in your classroom to create an area for students to see their progress and set goals. 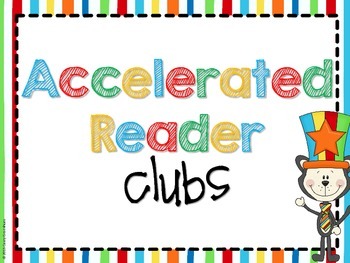 The accelerated reader point club labels are labeled in increments of 10. 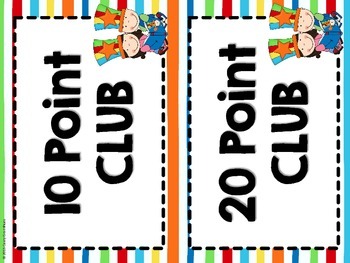 The small book images should be printed and then labeled with your students names so they can move them up the chart as they earn points. 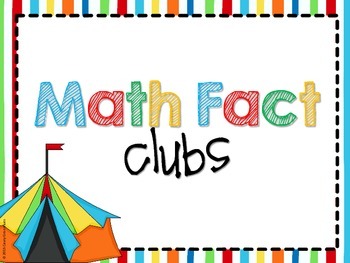 The same thing can be done for the math fact clubs. Each tent has a number written in the middle to indicate what math facts your students have mastered. The balls should be printed and labeled with your student’s names so they can move them up the chart as they master their math facts. I hope this resource is useful as you set up a space in your classroom for your students to constantly monitor their progress.